The 2015 Ford Ranger is ending up in the news again, this time the model being caught on some shots in what might seem the final version for production, riding on public roads. 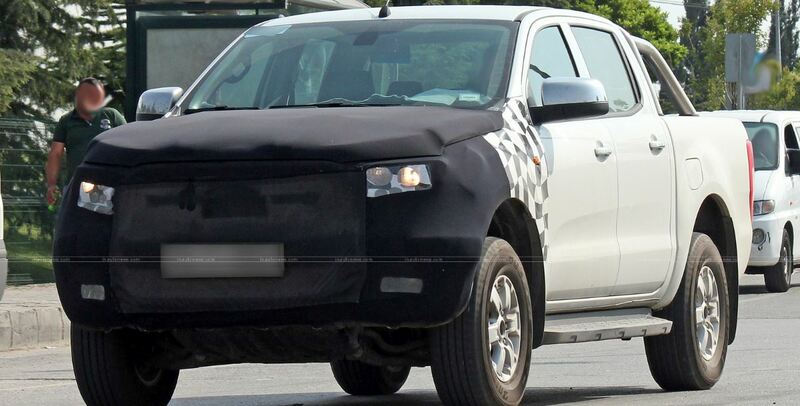 The 2015 Ford Ranger is also supposed to come with some interesting changes, the test mule seen in the shots here, wearing some camouflage on the particular parts of the body where the model is expected with updates. Thus, the 2015 Ford Ranger might seem to come with a new front fascia, a fresh front grille, inspired perhaps from the Aston Martin, or redesigned headlights and front bumper. The 2015 Ford Ranger will also receive a facelift at the rear end, as well as inside the cabin, the model getting some new high-tech goodies of its own. Under the hood however, the 2015 For Ranger might not come with changes concerning its engine lineup, as it would still come equipped with the one seen on the present model as well. 2015 Mercedes-Benz CLA – Prices Confirmed in U.S.